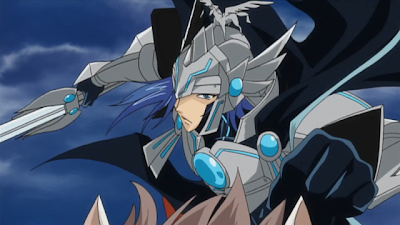 Aichi cardfights for most of the early series with a Royal Paladin deck. For the series' initial arc--rides 1 to 13, the first planned episodes--he amasses the cards that go on to become staples of his deck, regardless of build. 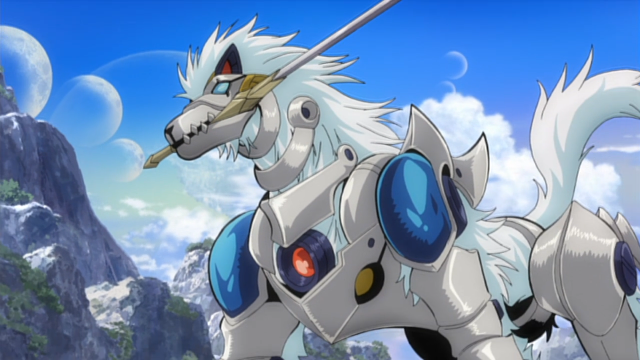 The very first episode brings out what earns a longtime place for him, Blaster Blade, a highly versatile unit characterized more by the sheer number of cards that search for, act in concert with, or target in some fashion than by its own abilities. 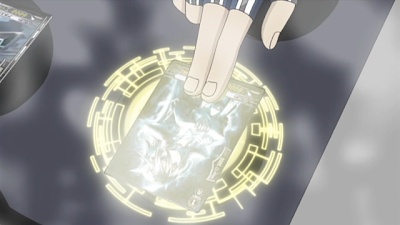 This card is a focal point for Aichi. 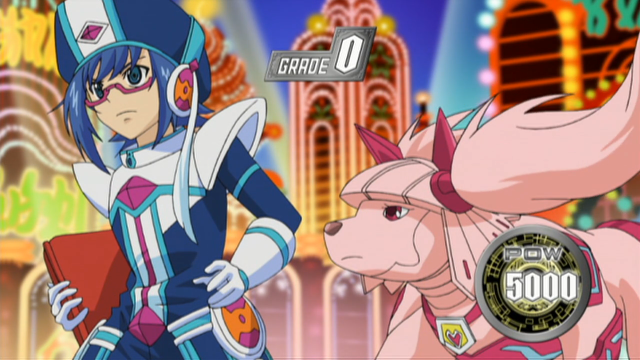 The first episode where we see Aichi's general playstyle come to light is ride 4; although Aichi ultimately loses this fight, it is a good marker for when his pro tactics first develop. Sendou leans towards taking the second turn in his fights, in contrast to Ren, whose deck is geared more toward going first. His preference is to ride an 8000-power grade 1, to set a higher threshold for opponents to deal damage, demanding more cards from their hand. At the same time this helps Aichi get his attacks through, able to match and exceed every power level he comes up against. He follows this up by calling units where a different fighter might conserve their hand, aiming always to deal at least 2 damage in the first turn. Initially he has difficulty with this strategy. 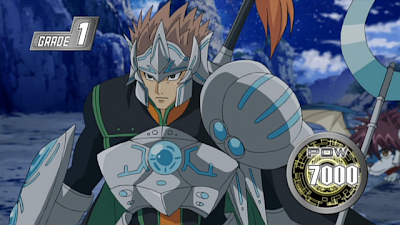 As in ride 4 up through 13, it leads to him wasting his hand by bringing out low-grade units in unfavorable positions; starting with ride 16, Sendou begins to use the Barcgal he first incorporated into his deck in ride 8 to superior call Flogal as a booster. However, since Aichi doesn't take the second move again until ride 27, this tactic is developed very late and it takes him time to fully realize how it suits his play style. In ride 6 he rides Iseult and recreates his Marron tactic using Starlight Unicorn to boost her power. Kay's autoskill, costing him nothing while reaching the same level of power as Morganna, matches Sendou's aggressive early game perfectly. The caveat is that it doesn't really suit his grade 1, Marron, which he attempts to cover the difference for with Wingal Brave. 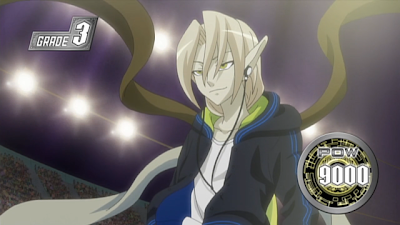 Had Suzugamori not retired Kay in their final match, Aichi would have had to voluntarily retire the unit later due to poor placement, showing that while he has found a deck that suits his style, the young fighter is even at the season's end still clumsy with it. Regarding his 8000-power grade 1, this favoritism toward Marron carries over into his Shadow Paladin deck, where Blaster Javelin fulfills the same 8000-power role but with the benefit of adding a card to his hand as Sendou's first vanguard. 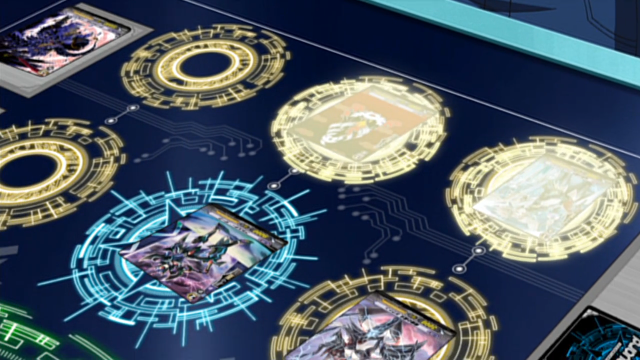 His time with this deck from 43-50 solidifies Aichi's established tactics. His very forward way of fighting is followed up in these episodes, where in his fight with Bidou, Sendou calls Charon in the first turn much as he used to Marron. However, because of Javelin's skill this allows him to have more flexibility, having two 8000-power units on the field without having to mix clans. Getting back to rides 1-13. 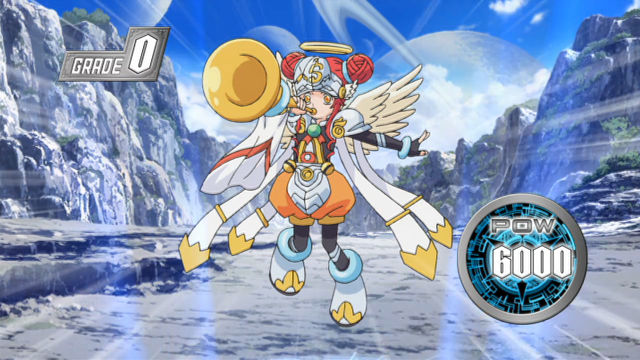 Aichi's initial starter, Stardust Trumpeter, is phased out by ride 8 in favor of Barcgal. 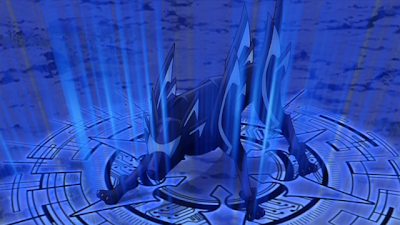 While the highdog serves as a strong reinforcement for Alfred and Soul Saver Dragon, building up field advantage for the former and a high soul for the latter, in terms of development Sendou uses Barcgal for Llew's counterblast. The ability to superior ride Blaster Blade is a key factor for Aichi's deck, as his single copy of it makes it difficult for Sendou to get the card into his hand. 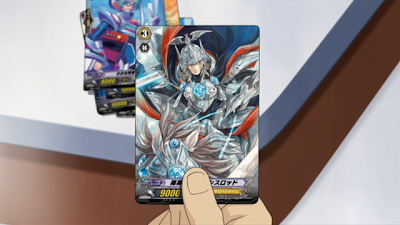 Fullbau answers this in Aichi's Shadow Paladin deck by directly adding Blaster Dark to his hand, rather than going through a superior ride sequence. This sparks another chain of thought that ends as Wingal Brave, a unit which while less strict in its skill's conditions, still adds a Blaster unit to his hand--this time any of the three Blasters Sendou runs, be it Blaster Dark as with Fullbau, Blaster Blade as with Barcgal, or the entirely new Majesty Lord Blaster. Another feature of his openings is the use of Gancelot--first added to his deck in ride 5, Gancelot sees his skills realized in ride 6, by which time Sendou's added in a second copy of him. While this is overshadowed for most of the series by Sendou's Barcgal-superior ride chain, returning Gancelot to the deck to move Blaster Blade into his hand is a signature tactic that Aichi comes to rely on as a standby for supporting his Blaster deck. In the second turn, his next move is almost invariably to ride Blaster Blade, making use of his retire skill. 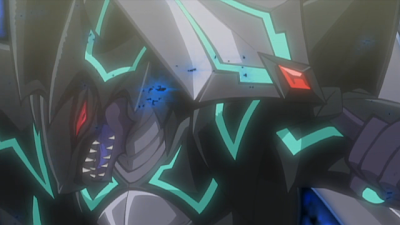 Aichi's fights seem specifically scripted so that he's able to do this even taking into account Llew's counterblast--he's very used to taking 3 damage in his opponent's first attack regardless of his high power. 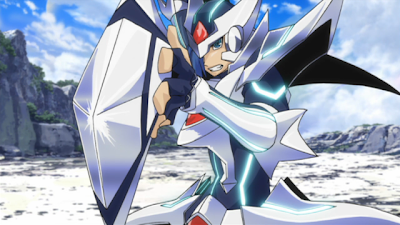 Typically this ends in an overall advantage for the boy--superior riding through Barcgal briefly relieves him of having to pay the ride out of his hand, or in the case of using Gancelot to add Blaster Blade in the previous turn, his avatar's retire skill will put his opponent behind one card. In his Shadow Paladin deck this is reflected with Blaster Dark, who being drawn out from the deck by Fullbau, gives him much the same relief. And unlike Blade, Dark's retire skill is more feasible, as Sendou doesn't require a prior counterblast to ride the new Blaster. 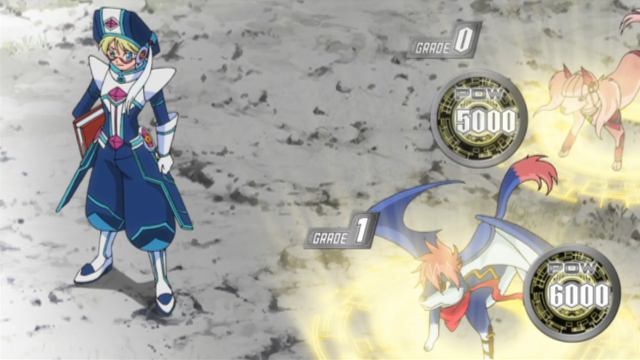 Where Blade could only reach 19000 power from one of Aichi's favorite boosters, Wingal, Dark surpasses that to hit 20000 and leave Doranbau around to be sacrificed later. As in rides 6 and 27, Sendou will follow this up by moving his attacker from the previous turn to the back line in order to call something for it to boost, along with an additional, unboosted grade 2 attacker. His field is not typically full until his third turn. Although 63-65 do not fit this style perfectly, they do fit the general pattern of it, with only the move step being omitted as Brave was already in the back line. As a Shadow Paladin fighter, this style of play is brought together by the Skull Witch, Nemain whose counterblast 1 helps Aichi make these aggressive calls while minimizing the effect on his hand. His pattern of calling is similar here, moving his unit from the previous turn to the back before calling Nemain in front and then his unboosted grade 2. Nemain's draw skill lets him delay the last step, giving Sendou greater choice in which unit he calls--in every full fight given this is Rugos. Although Alfred, coupled with Soul Saver Dragon, is easily Aichi's most recognized grade 3, the king and god of knights are both red herrings as far as his development is concerned. 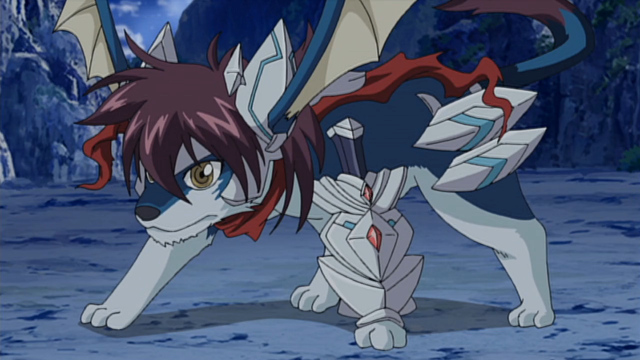 Aichi's way of fighting is that his deck is first and foremost a Blaster Blade deck before it is a Royal Paladin deck: it is for this reason, as well as the mechanics backing his favored units across season 1, that Gancelot is Sendou's primary focus. Were this the case with Alfred and Saver, he would have likely gone on to use the Fang of Light, Garmall rather than Gancelot. Against both Kamui and Kourin Aichi uses a double-counterblast, raising the bar up to +10000 Power +2 Critical. 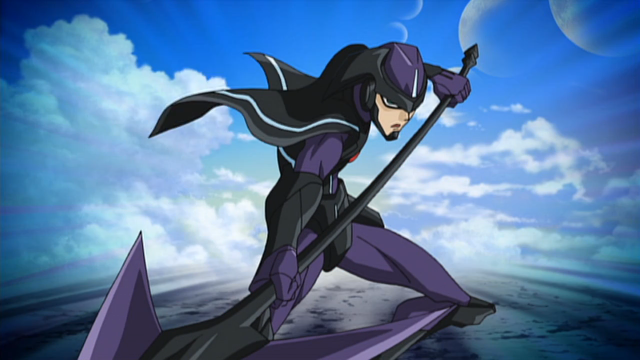 Gancelot serves as Sendou's training wheels, reflecting his play style most directly. 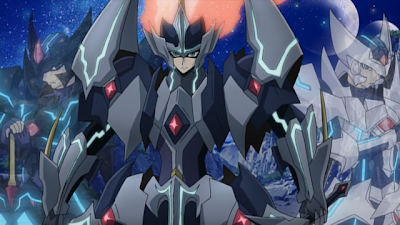 Power and critical gains are much more in line with Aichi's style, as the Solitary Knight trains him for what becomes his trump card as a Shadow Paladin fighter, Phantom Blaster Dragon. For a counterblast 2 and retire 3, the Blaster Dragon has a less dramatic but also less costly gain, +10000 Power +1 Critical. 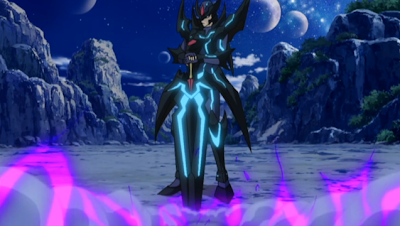 Although Sendou never actually does this, he could have repeated Blaster Dragon's counterblast as he traditionally did with Gancelot, for +20000 Power +2 Critical. Sendou's primary aim with these two grade 3s isn't to actually hit with them, but to wear his opponent's hand out. Note that his matches with Bidou and Gunji are the only times that Damned Charging Lance connects. In the first of his other fights, Sendou merely whittles his opponent's hand away, leaving them crippled and unable to continue the fight. Ride 50 is a case of underestimation, where he is unable to account for the perfect guard sitting in Kai's hand. 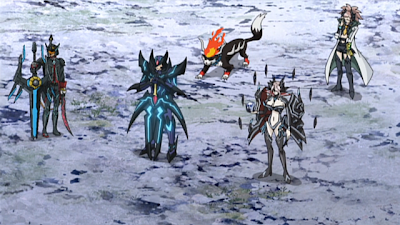 As Gancelot leads into Phantom Blaster, the Gigantech Charger that Aichi fights with briefly during the regional arc later influences him into using Badhabh Catha to superior call his Shadow Paladin units. However, Charger came with a problem attached in that if the unit he superior called wasn't a booster, there wasn't much for it to do on the field other than empower Alfred. Catha fixes this problem, as it doesn't matter what Aichi calls--if it's not useful to him, he sacrifices it to his cursed dragon. 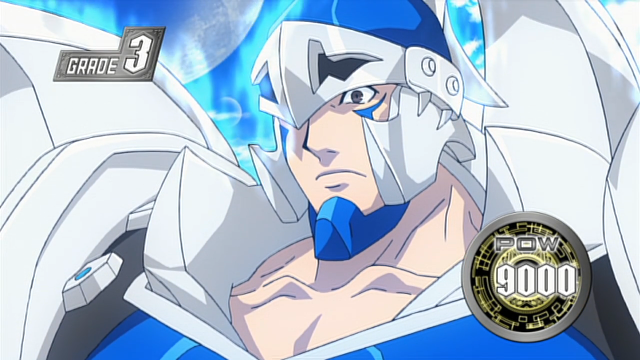 After his return to Royals, Aichi goes out from his Phantom Blaster Dragon strategy with a new vanguard that functions as the culmination of everything he's learned. Much as Gancelot and the Blaster Dragon before it, Majesty Lord Blaster gains +10000 Power and +1 Critical, and it is from a sacrifice of rearguards; however, rather than sacrificing them to the drop zone, Majesty sacrifices them to his soul, soulcharging the two for power while utilizing a passive skill that gives him +2000 power when both Blasters are in the soul. This can be considered comparable to how Gancelot requires Blaster Blade to be in the soul for his activate skill to work. Sendou uses what he learned from Badhabh Catha with Starcall Trumpeter, a lower-graded unit that for a counterblast 2 can specifically target any of his Blaster units. When brought together with Gancelot, this lets him bring both Blade and Dark to the field at will. 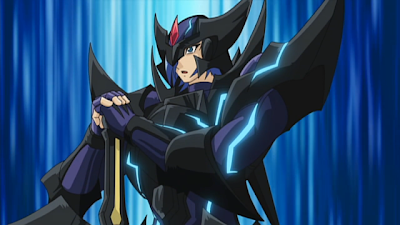 Like with Catha, Aichi is now superior calling a Shadow Paladin so that it can be sacrificed, tying his development into a Majesty Lord Blaster deck. 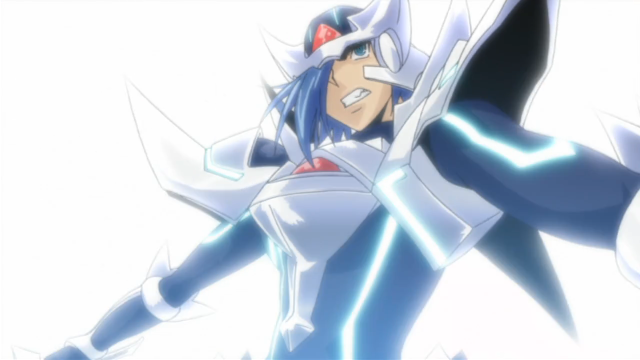 As a general summary, Aichi's overall style is to open on the second move with a grade 0 that gives him a Blaster unit to ride on his next turn, using an 8000-power unit as his ride. He then calls a unit to make a second attack with, and on the next turn moves it to the back line after riding his Blaster, then filling two more units into the field, to make three attacks. On the third turn Sendou rides a grade 3 which through its skill gains +10000 Power and +1 Critical, and fills his remaining rearguard circles for an all-out attack.